© 2019 KIDY-TV. All Rights Reserved. The video shows how firefighters worked for more than 12 hours to extinguish the inferno engulfing the iconic Notre Dame Cathedral. 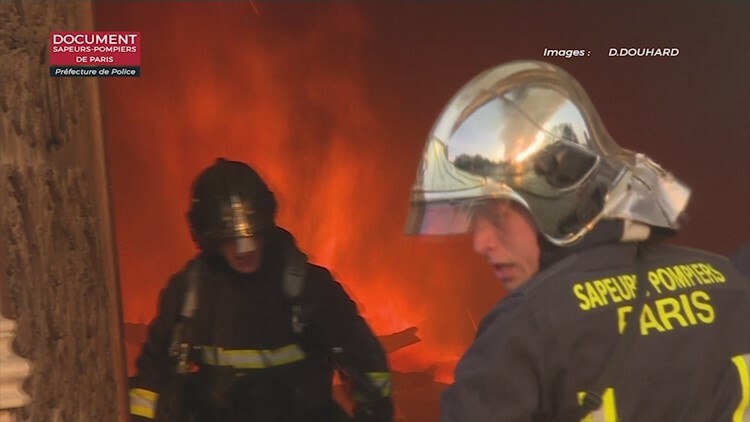 PARIS, France — Video released by French firefighters gives an inside-look at the massive emergency operation that it took to get the fire under control at Paris' Notre Dame Cathedral. Firefighters declared success by Tuesday morning after a more than 12-hour battle to extinguish the inferno engulfing the iconic cathedral that claimed its spire and roof, but spared its bell towers and the purported Crown of Christ. What remained was a blackened shell of the monument immortalized in Victor Hugo's 1831 novel "The Hunchback of Notre Dame," a building that had survived almost 900 years of tumultuous French history but was devastated amid renovation works at the start of Catholic Easter week. Its iconic twin bell towers remained visibly intact. Paris officials said the world famous 18th century organ that boasts 8,000 pipes also appeared to have survived, along with other treasures inside the cathedral, after a plan to safeguard heritage was quickly put into action.